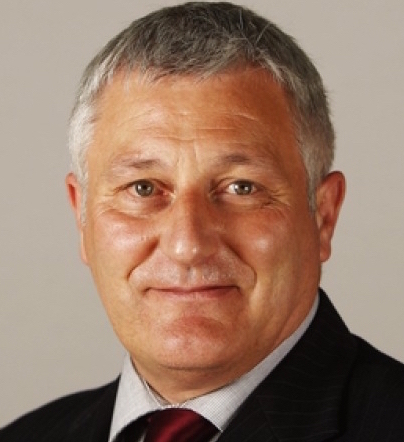 SCOTTISH Greens’ transport spokesman John Finnie called on the government to take direct control of Northern Isles ferry routes as well as Shetland’s internal ferry service today (Tuesday). But the Highlands and Islands MSP found himself at odds with local politicians who strongly oppose nationalisation of the ferry services and support the measures announced last week by Scottish transport minister Humsa Yousaf. The RMT Union also wants the lifeline service nationalised but the seafood industry and other isles exporters’ views were favoured by the government. In a statement Finnie challenged Scottish ministers to overhaul their “opportunistic” attitude toward ferry services between Orkney, Shetland and the Scottish mainland and called for terms and condition for workers to be protected. He has written to transport minister Humza Yousaf following the decision to put the Northern Isles ferry services out to commercial tender, rather than bringing them into the public sector. In his letter, Finnie accuses the government of kicking any meaningful decision on these lifeline services to beyond the next election. He also asks for a meeting with the minister. Finnie wants the subsequent contract to go to public sector operator CalMac, after what he calls an “open process” with trade unions and CalMac involved in any future ferry procurement. There should also be increased freight provision. The list MSP said: “The Scottish Government’s opportunistic approach means a publicly-owned service, run in the interest of communities in Orkney and Shetland, is effectively kicked beyond the next election. I won’t allow this important issue to be brushed aside, and I hope the minister agrees to sit down and discuss the details. Shetland Islands Council transport committee chairman Ryan Thomson said that the first NorthLink contract, delivered by CalMac, had been “an exceptionally poor service” and that Yousaf had correctly represented local desires by putting the service back out to tender. “From a Shetland point of view, Humza Yousaf came up here and listened to business and stakeholders and those using a lifeline service day in and day out and they were unanimous that it should go out to tender. They believe that would be the best outcome,” said Thomson. He added that the council and Scottish Government were also in tune over inter-isles ferry services with Holyrood happy for the SIC to continue running services and a one-off extra £5 million payment agreed by government that ought to emulated in forthcoming contracts. “This arrangement offers the flexibility needed to run a ferry service while they have accepted the principle of fair funding,” he said. The provision of inter-island ferries on the main routes was about right, according to Thomson, but the government had acknowledged that there was room for improvement in the services to the more remote isles. Scott said that as a Bressay resident the last thing he would want was internal ferry services being run on the whim of bureaucrats 300 miles away. What was needed was proper funding for the inter-isles ferries to meet their timetable and for the looming capital replacements. This had been secured following the parliamentary intervention by Scott and Orkney counterpart Liam MacArthur last year. A meeting of officials from Shetland, Orkney and Transport Scotland is due to take place on Wednesday to examine where talks are at on the fair funding for internal ferries issue. A meeting of the external transport committee on 7 June, meanwhile, will consider the “lifeline” services provided by NorthLink and Loganair.